Vibraphonist Michael Davidson (Hobson’s Choice, Otterville) and double bassist Dan Fortin (Myriad3, Bernice) are two of Toronto’s most in demand musicians. They have been playing together for over a decade: in the experimental jazz-rock band Stop Time; on Fortin’s 2015 album Brinks; and in groups lead by the likes of Tara Davidson and Allison Au. Having been hired so often as a team, it made perfect sense for the two to focus on the unique musical aesthetic they’ve cultivated over the years. Hence, the birth of a new duo and a new album: Clock Radio. There is no musical setting more intimate than the duo. Each musical gesture is exposed, and without empathic listening on the part of both musicians, it cannot succeed. In the summer of 2017, Davidson traveled to Berlin to study with renowned mallet percussionist David Friedman. In the course of his two month trip, Davidson experimented with a variety of new compositional techniques, and returned to Canada with a new book of songs that he felt best suited the flexibility of the duo setting. These pieces blur the line between composition and improvisation, and draw equally from jazz, free music, and classical composition. 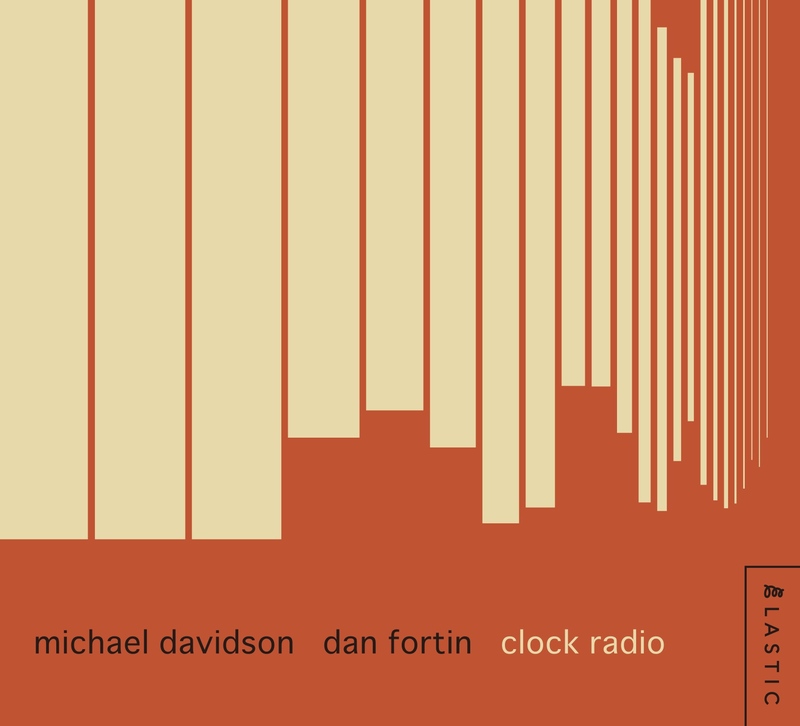 Clock Radio is an album, through and through: it can be listened to as one long piece, rather than as a collection of disparate songs. Melodic, harmonic, and rhythmic thematic materials recur throughout the entire narrative. The duo creates musical material to engage with feelings of nostalgia: they explore the way a narrative is influenced by gestures in the present moment. Each piece is inextricably linked with memories of past thoughts and feelings. This album is an intimate and vibrant portrait of a duo at the height of its expressive powers. The pair seamlessly weave through time and space, flowing through a lush soundscape of moods and textures. It is as if time is transformed for this brief but uplifting sojourn into a carefully crafted yet spontaneously elastic world of sound.